We hope you all have a great 4th of July! To celebrate, :mused: will be having a 12 hour sale for today only from noon to midnight (slt). *25% off at the :mused: main store. 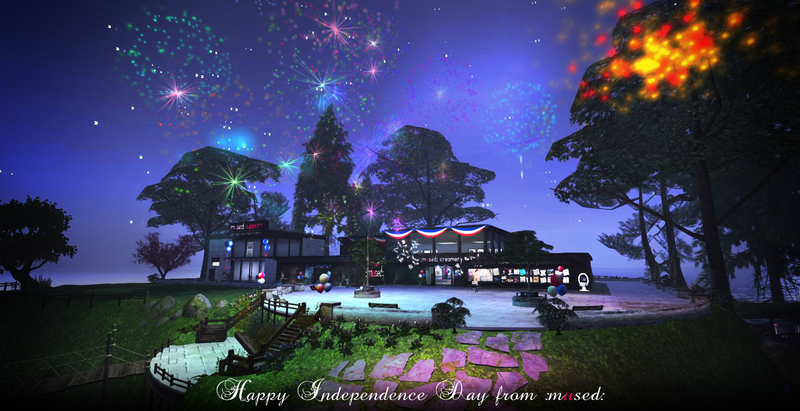 We also have some fun fireworks for you to enjoy so bring your friends and celebrate this Independence Day at :mused:! Happy Holidays everyone. A gift to you from :mused: can be found in the :mused: group if you did not receive yours. We will also be having a sale Christmas Eve and Christmas Day on all :mused: Ushimimi Accessories and :mused: “Full Breasts”. 40% off for 2 days only! Filed under: Celebrations!, Full Breasts, News, Sales | Tagged: Appliers, Christmas, Gift, Sale |	Comments Off on Happy Holidays!